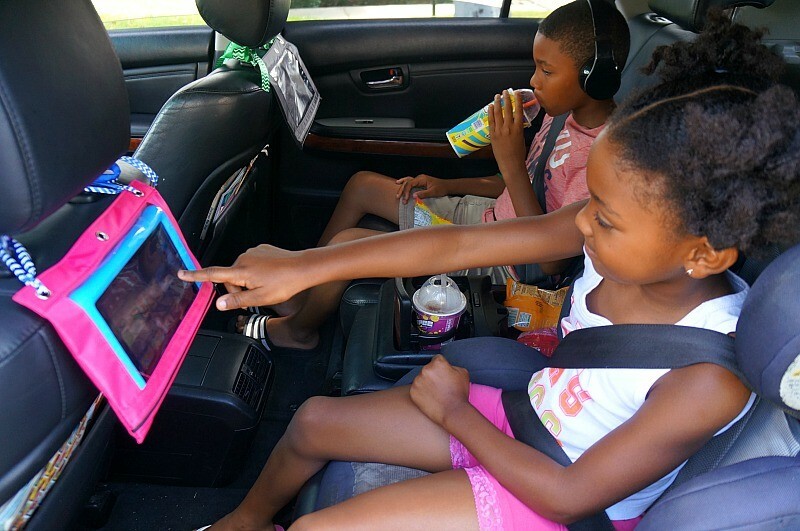 This easy DIY tablet holder for the car headrest is the perfect back seat mount for long road trips. 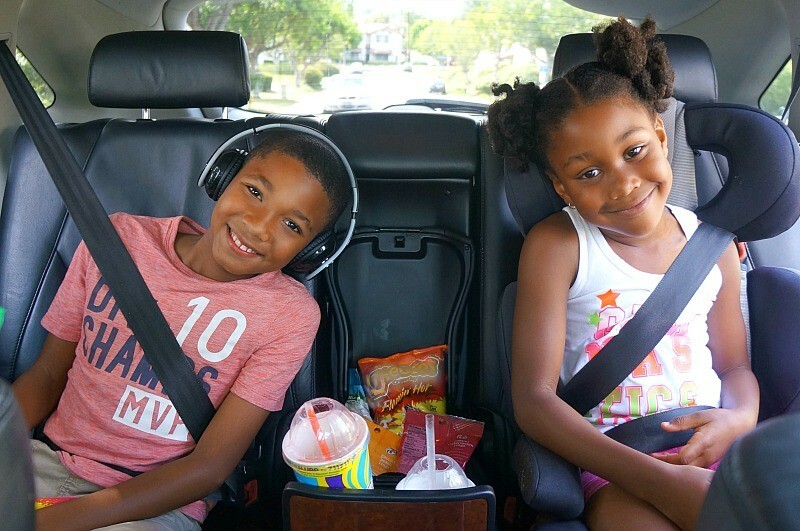 We’re partnering with Firestone Complete Auto Care in a sponsored post to share road trip hacks, this is fun way to keep the kids entertained on long car rides! 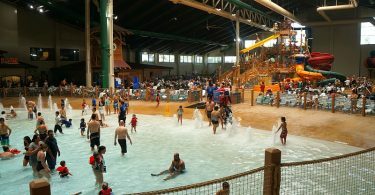 Summer is the time for family, and that includes vacation! We love a good family road trip, and there are tons of places to visit within driving distance here in Southern California. We have taken trips to Solvang, Palm Springs, Pismo Beach, and Camarillo, CA, and the kids always want to visit more places. When the “are we there yet?” question has been asked for the 1,000th time, I knew that we needed something to keep the kids busy on our next road trip! Before a road trip, I always make sure that I get an oil change, check the tire pressure, and make sure that all fluids are topped off before we go. Long trips in the car can lead to whines from the kids and discomfort for the adults, so I definitely cannot forget about the snacks and activities for the kids in the back seat! 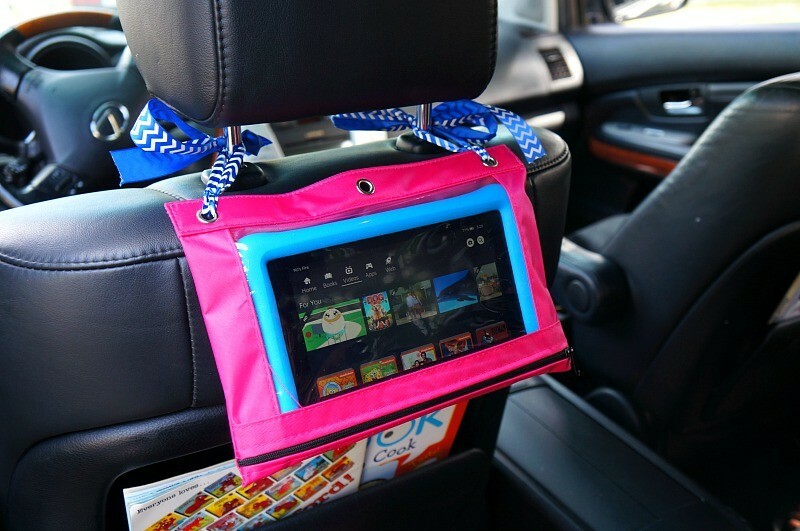 Make this easy DIY tablet holder for the car headrest for effortless entertainment while on your next road trip. 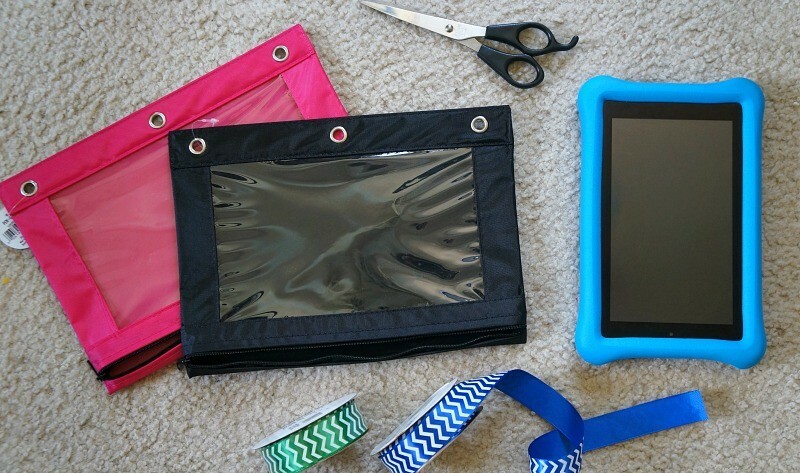 When I tell you that this is an easy DIY tablet holder to make, I am not kidding! Get a sturdy pencil pouch with a clear plastic cover and pre-punched holes for 3-ring binders. Make sure it’s nice and large, and that the clear window is big enough to show your tablet’s whole screen. Measure and cut two long pieces of ribbon for the two outer holes. Tie each one into a double knot, leaving plenty of ribbon left on each side for tying. Attach to the back of the headrest by tying bows on each side. That’s it! 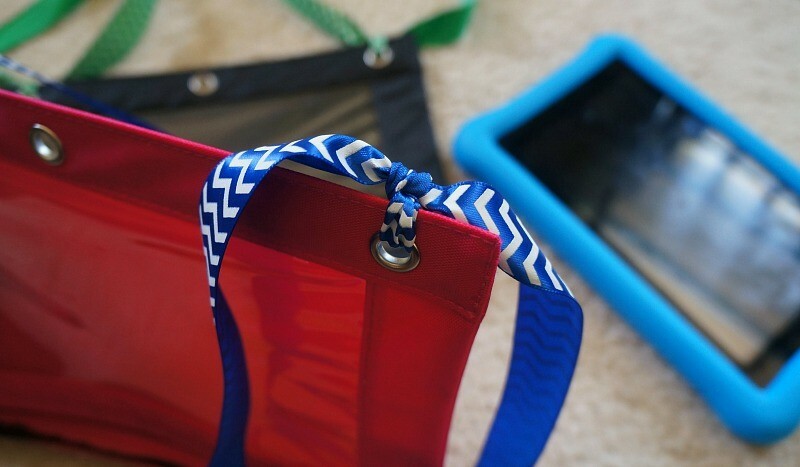 You can open and close the zipper pouch at the bottom to easily remove the tablet when needed, and un-tie the bows to detach the DIY tablet holder when not in use. 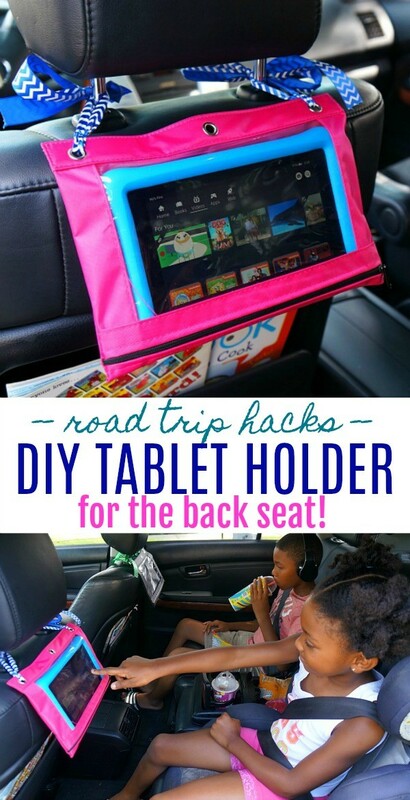 I hope you love this DIY tablet holder for the car headrest, it is one of our favorite fun road trip hacks! Now, all you have to do is plug in a pair of headphones so that each child can watch something different without distraction. 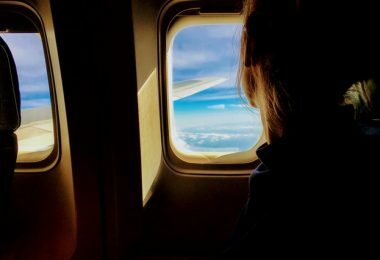 A quiet trip and peace of mind for parents is so necessary for our sanity! 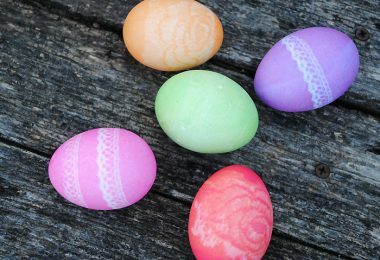 Prepare for your next family road trip ahead of time with plenty of snacks, games, activities, and other things to keep the kids entertained on long car rides. Your vehicle should be in top shape, too, so don’t forget about servicing it before you hit the road. Whether you need an oil change, tires, or other car services, Firestone Complete Auto Care has what you need to get your car ready for your next family road trip! 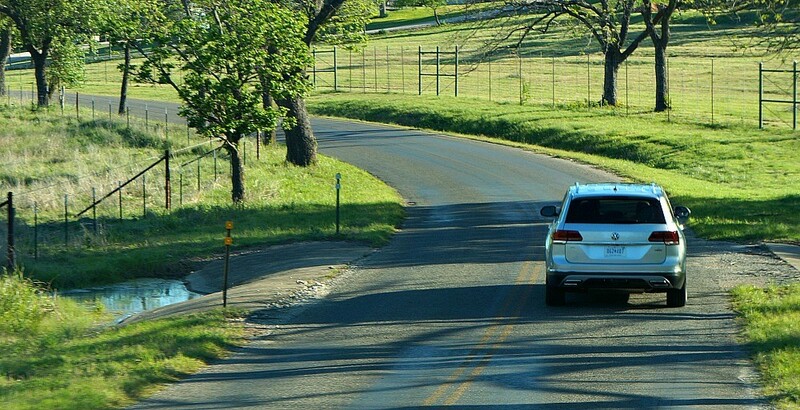 Safety is key, and the last thing you need is a bump in the road to put a damper on your vacation. Make sure your road trip is a success with Firestone Complete Auto Care, the leading national auto care provider! Visit them online for coupons and locations near you, and follow along with them on Twitter, Facebook, and Instagram for more road trip hacks and tips for a fun and safe journey! This is a sponsored conversation written by me on behalf of Firestone Complete Auto Care. The opinions and text are all mine. Wow! This is great! Definitely gonna make one of these for each child for our next trip…thank you much. This is such an awesome idea! I will be doing this!